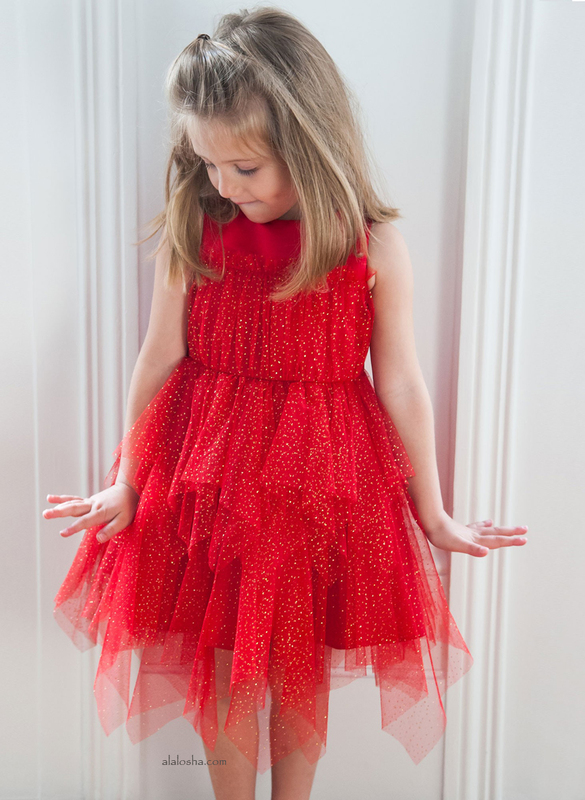 Must Have of the Day: Dive into the new season with the Stella McCartney Kids collection! 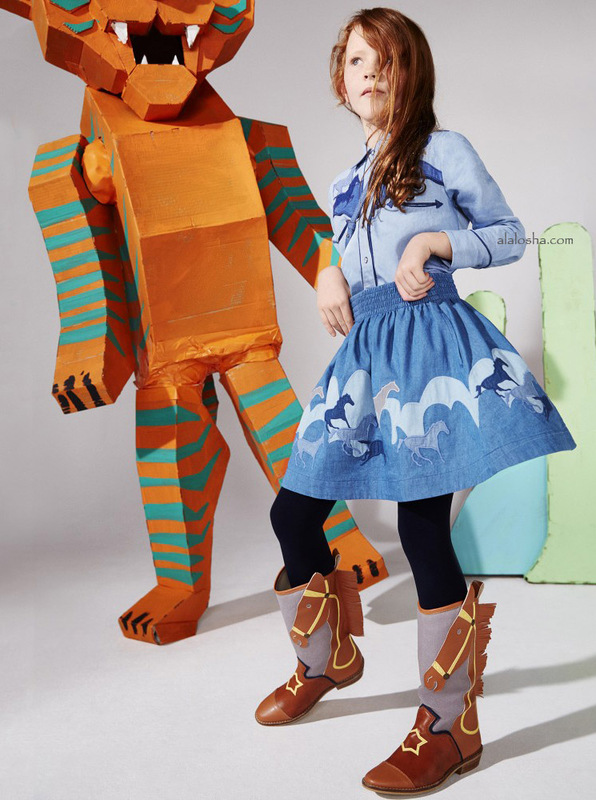 See how Stella McCartney Kids roar in the Autumn Winter 2016 campaign and join in the fun! 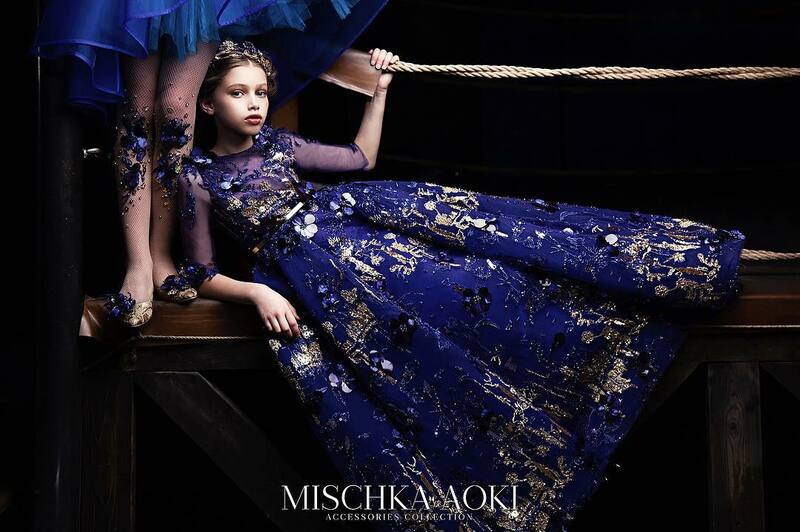 The new collection captures the playful spirit of kids today, with styles inspired by Big Top and Wild West themes. Adding to the fun, tiger face motifs and colourful stars light up the season; and check prints taken from the grown-ups are inspired by the mainline collection. Girls brown horse 'Cherry' cowboy boots from Stella McCartney Kids. 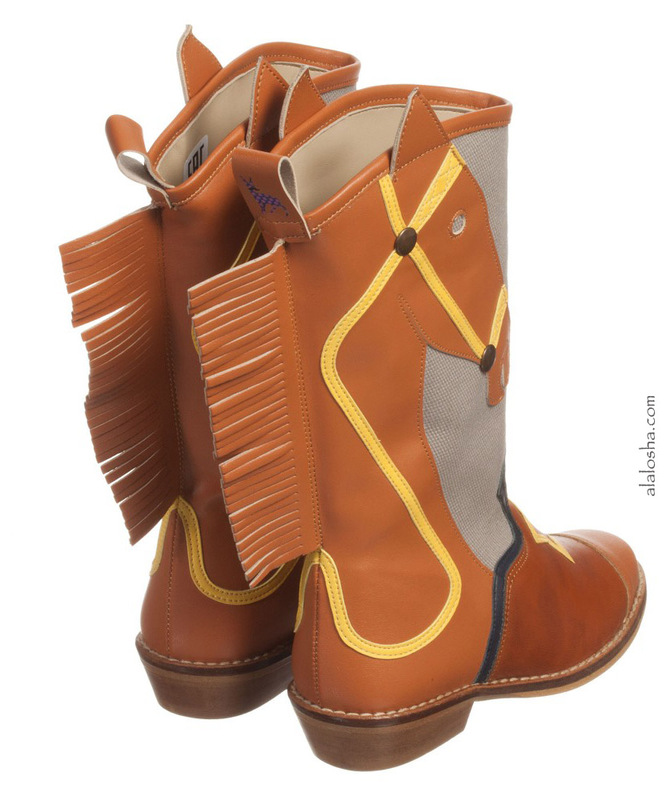 They are pull on and knee-high, in light brown and denim tones featuring a fun horse print, pointed toe, small heel and fringing along the back. 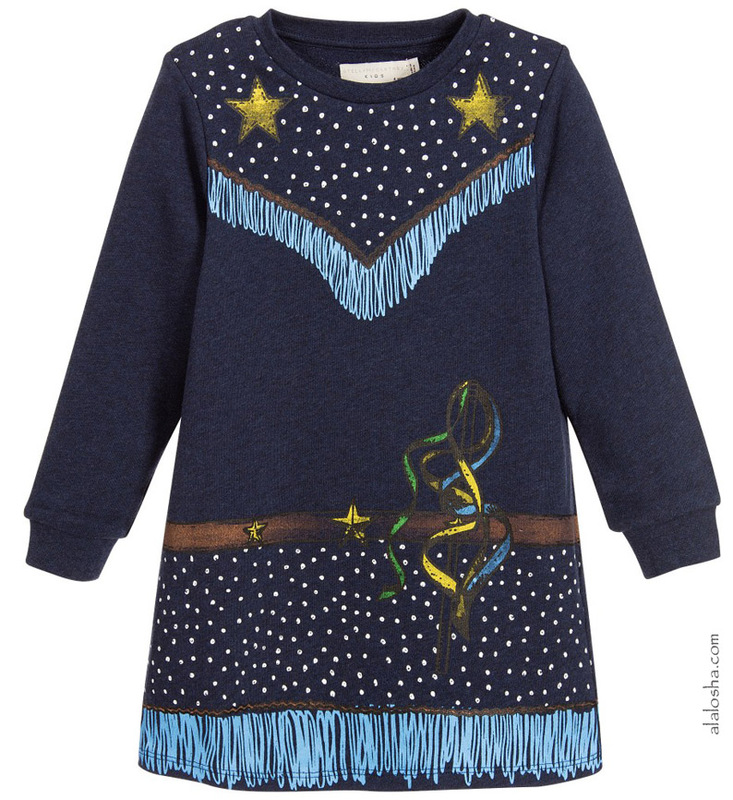 Girls fun, navy blue, cowgirl dress by Stella McCartney Kids, printed with fringing and star badges. Made in a soft, organic cotton jersey, with a beautifully soft underside, it is easy to wear, simply pulling on over the head. 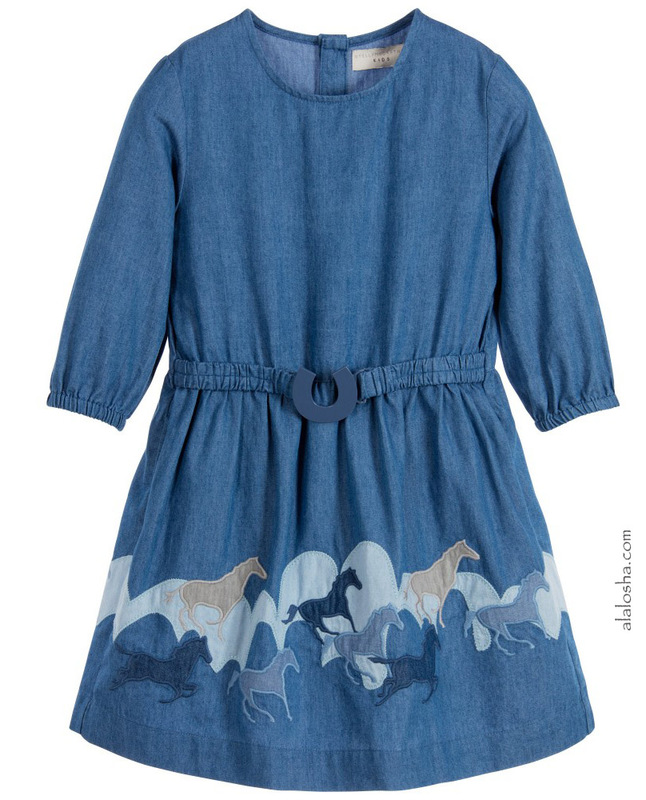 Blue, organic cotton chambray dress by Stella McCartney Kids, featuring a galloping horses appliqué all around the hemline. The dress has three quarter length sleeves with elasticated cuffs, a gathered skirt with side pockets and an elasticated waistband with a horseshoe clasp. There is a monogrammed button fastener at the back. Girls grey organic cotton and cashmere knitted sweater by Stella McCartney Kids. 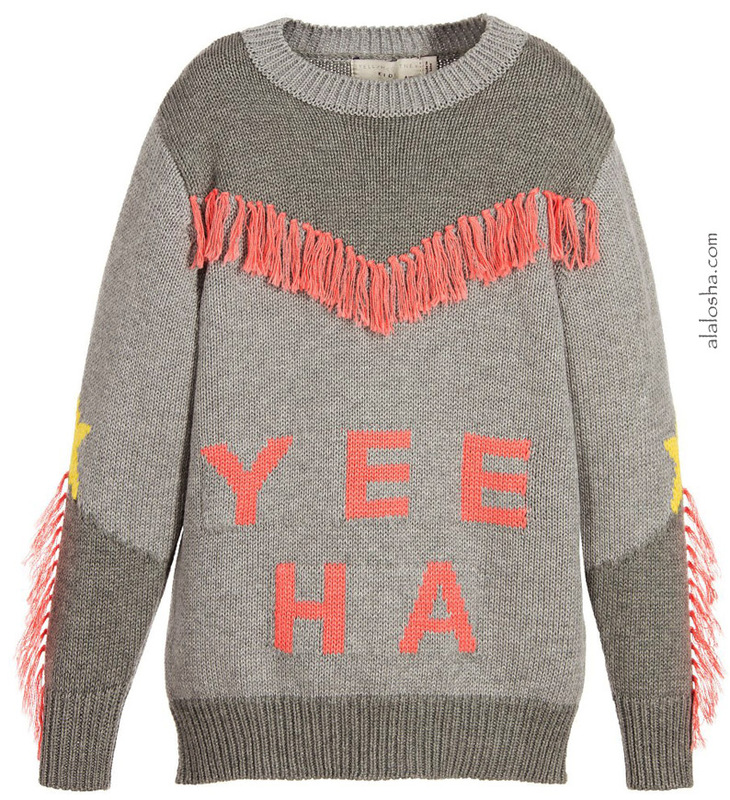 it has woven yellow stars and 'Yee Ha' slogan with pink fringed trims. 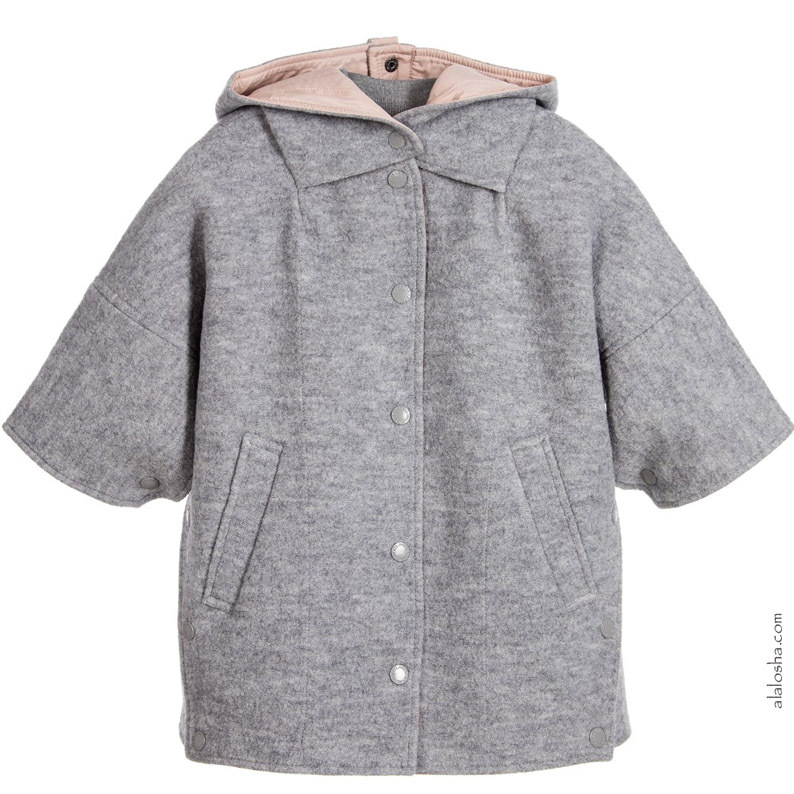 Girls grey wool, popper fastening coat by Stella McCartney Kids. The wool is backed with pale pink woven polyester for a soft feel against the skin. This versatile coat can also be worn as a cape by simply undoing the poppers at the sides. The poppers on the hood can also be unfastened allowing it to be worn loose on the back. 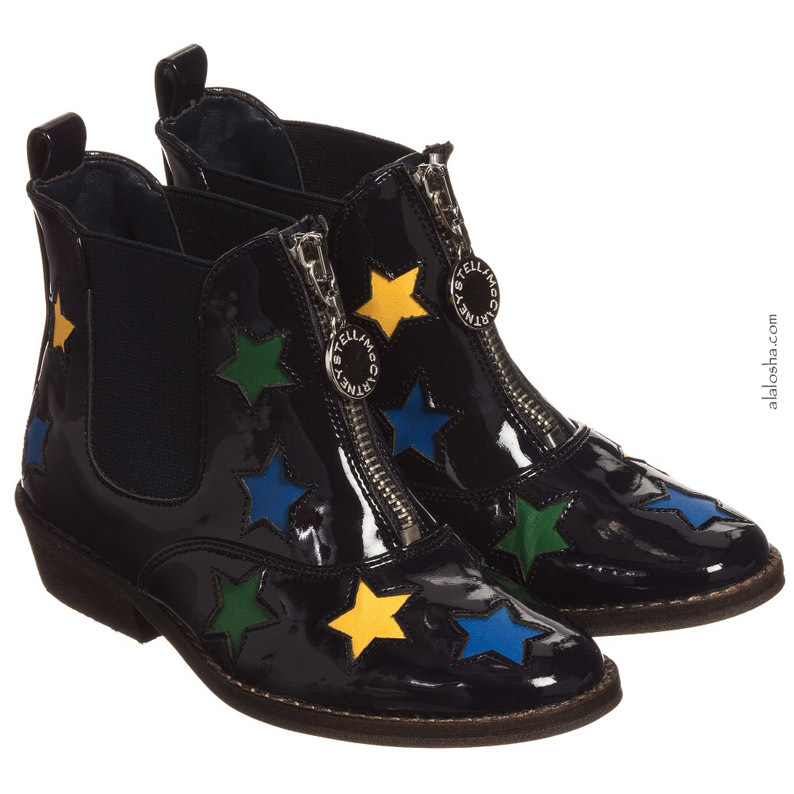 Girls navy blue patent 'Circus Stars' ankle boots by Stella McCartney Kids. Made with fabric materials, these funky boots have blue, green and yellow cut-out stars detailing, with elasticated side panels, a heel pull and front zip with a logo embossed tab, making them easy to put on and take off. They have a non-slip sole and 2.5cm high heel.